"Run clean, run fast, Remy, and we'll see you at the finish line." "There is one best place to bury a dog. If you bury him in this spot, he will come to you when you call - come to you over the grim, dim frontier of death, and down the well-remembered path, and to your side again. And though you call a dozen living dogs to heel, they shall not growl at him, nor resent his coming, for he belongs there. People may scoff at you, who see no lightest blade of grass bent by his footfall, who hear no whimper, people who may never really have had a dog. Smile at them, for you shall know something that is hidden from them, and which is well worth the knowing. The one best place to bury a good dog is in the hearts of his masters." Remy died on 21 December 2010, during a rare lunar eclipse on the winter Solstice. Last night the moon bled and the sky wept to honor the passing of Remy, FC Wagsmore's My Favorite Martin CD RAE4 MX MXJ PAX2 XFP ME W-BBFD-MF (October 27, 1997 - December 21, 2010), at age 13. 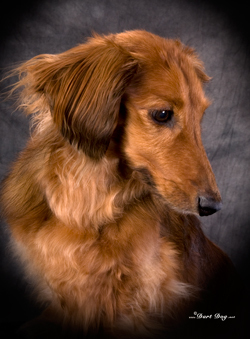 Remy was our beloved and loyal companion and our enthusiastic partner in hundreds of runs in earthdog, agility, obedience, rally, freestyle dance, and the field. Remy persevered through the onset of seizures at age 6, two bouts of aspiration pneumonia, two abdominal surgeries, and finally surgery to remove a giant lung tumor in early November. Remy never lost his joy in training and competing with us and completed his last agility course on Sunday. As one of our friends said last month, "In the dictionary entry for "trooper", there is a picture of Remy." But last night Remy began bleeding in the nose and lungs and was struggling hard to breathe. The cancer had roared back. We fed him a few last bits of string cheese and held him in our arms as he was put to sleep at 2 am. Remy started his AKC career in earthdog and it remained one of his favorite sports to the end of his career. He died needing one post-March 2010 leg for his Endurance Earthdog title. Remy's final year was one of his best. He earned his PAX2 on December 31, 2009; placed 7th in the AKC National Agility Championship in March 2010, and was co-winner of the DCA Triathlon and Preferred Standard Agility High in Trial winner at DCA 2010 in September. We treasured every moment of these final competitions, knowing that the end could come at any time. Remy changed our life. Because of Remy, we became involved in AKC events; added Ouzo, Asti and Olive to our family; became members of DCSAV, DCA, and NATC; and are AKC trial chairs and judges. Our life will not be the same without Remy, but we have this legacy and 13 years of wonderful memories, photos and video. 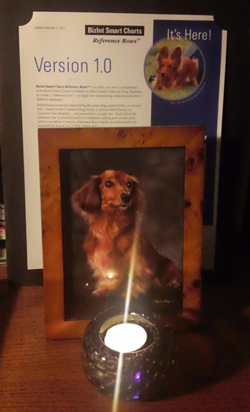 Thank you to Jeff and Karen Dionne for giving us this very special dog and to all our dachshund friends for their support over the years. impressive. It was obvious to everyone that his love for the two of you was limitless. We are also so very proud of his accomplishes and thank you for the nurturing and dedication that you displayed to him throughout his life. We followed his career and cheered him on from afar. We wish you comfort and peace in the warmth of the many wonderful memories you created while sharing his life. He was certainly a special once in a life time dog. I was very sorry to hear that your Remy left you. I had the pleasure of watching him work once at a Badger Dachshund show one year. Hold your memories close; may they help to heal your broken hearts. -- Andi B. 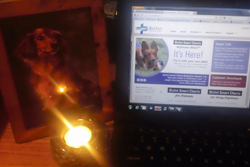 On the one year anniversary of Remy's death, we released Version 1.0 of BizInt Smart Charts Reference Rows -- a software product that our company had been working on for many years -- in memory of Remy. On 21 December of each year, the software displays a message "in memory of Remy".